There, soldiers of the Lon Nol regime throw a grenade at her place, accusing her of being a Khmer Rouge infiltrator. She is raped and becomes pregnant, attempts suicide but is saved by doctors. 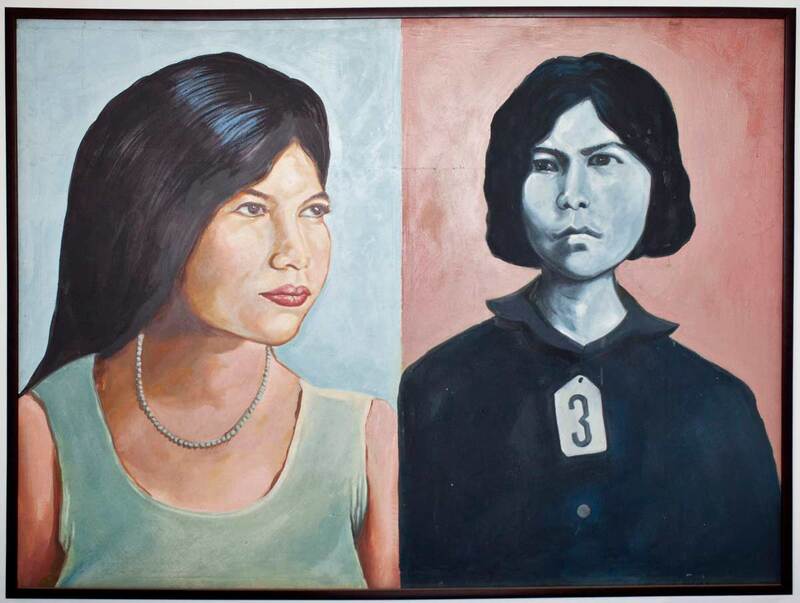 In 1971, Bophana moves to Phnom Penh with her sisters and gives birth to a boy. As a single mother with no husband, she is rejected by society. Daily life is tough for a girl named after a flower. In 1974, whilst attending a Buddhist ceremony, she enjoys ephemeral happiness when she meets her cousin Sitha, now a monk. They grew up together and she deeply loves him. Once the Khmer Rouge take over Phnom Penh, Bophana is back to her hometown where she is nicknamed Môm. Meanwhile Sitha, also known as Deth, has become a top official of the Communist Party of Kampuchea, and finds Bophana again. They marry in 1975. However, in Democratic Kampuchea, family, love, and personal life are banned; and therefore the long love letters Bophana writes to Sitha are a patent infringement of the law. They also reflect the paranoia of the regime and the deterioration of the situation for the lovers. In her letters Bophana embodies herself in Seda, the princess of the famous epic poem Reamker. Confined and loyal to her husband, Seda waits for him to deliver her. Bophana, then, falls ill. She receives poor treatment, tries to commit suicide and loses the baby she was expecting from Sitha. He suffers as much as she does. He calls her “his sad wife”. “Only if I become a ghost, then you can do whatever you want! I know your tears too well, and you know the burning burden of my life. Beloved Seda! Believe in my love, my darling,” he answers before quoting Macbeth or Paul and Virginia. Later Bophana writes again: “One day I will be the victim of our enemy here. Do you know, darling, that the people living in Barai are all afraid of me… My close friends do not dare to talk to me as they did before. I have no more hope, I cannot change the course of destiny to meet you, because life has a purpose and when you get to the end, you must know how to stop this life. I hold you against me and send you a kiss… From your heart-broken suffering wife… Sedadeth”. When the regime decides to purge senior officials, Sitha is arrested. The Khmer Rouge find at his place Bophana’s letters as well as a forged pass. At S21, Bophana, who has been arrested in the meantime, admits to be a CIA agent. But on each page of her confession she signs Sedadeth in Latin letters, which stands for “Seda of Deth”, the sign of her unfailing love, her last breath and her ultimate act of resistance.